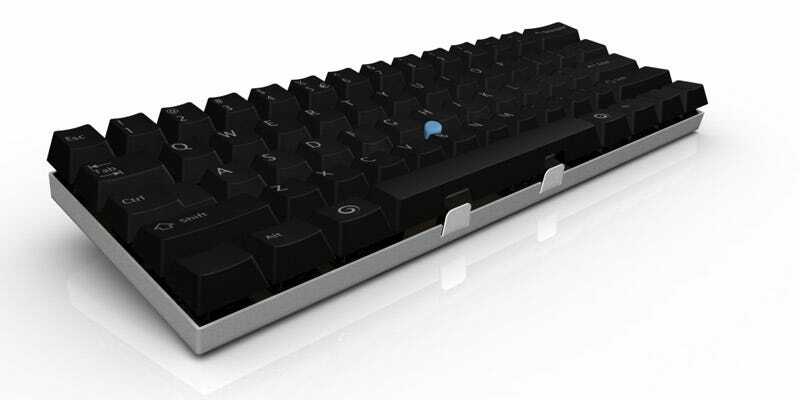 The MiniGuru keyboard has three layers of functions designed to keep your fingers on the home row. Theoretically, that means you could type more efficiently. It would also mean a major overhaul to your typing technique. Special modifier keys can be held down with a free thumb, allowing the user to cycle through layers of programmable key functionality. For example: hold down the modifier and J, K, L and ; can become arrow keys. There is also a mouse pointer in the center of the board if you choose to take this whole home key thing to the limit.